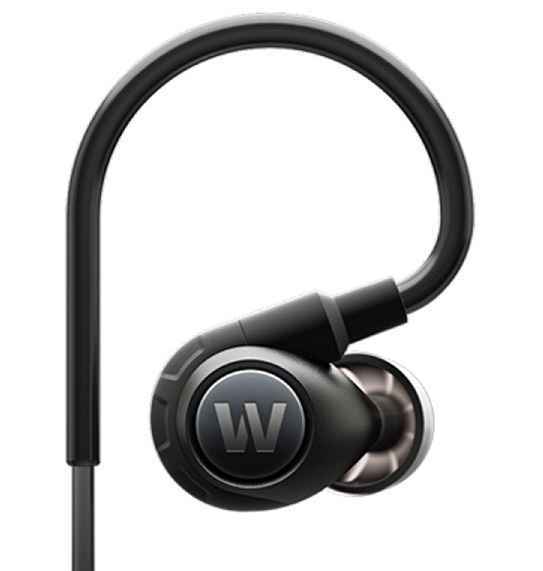 Westone has just announced the release of their new Adventure Series (ADV) Alpha earphones. The Adventure Series Alpha has been developed by leveraging Westone’s two decades of experience with audio and in-ear musicians’ monitors and is specifically designed with the active user in mind. The Adventure Series earphones are resistant to moisture from spraying water and other adverse conditions, using IPX-3 technology. The new Adventure Serie incorporates Westone’s first-ever Adventure Warning and Control System (AWACS Reflective Cable). The AWACS Reflective Cable provides improved visibility in low-light conditions – using a reflective and replaceable cable that is also “Made for iPhone, iPad, iPod” with three-button volume control and inline microphone. The earphone incorporates a magnesium uni-body for increased performance and durability, together with a proprietary extended range 6.5mm micro driver with PST (Precision Surface Tuning). Frequency response is rated at 20Hz -18kHz with an impedance of 21 ohms. Included with Adventure Series Alpha are Westone’s STAR silicone tips, True-Fit foam tips, wax removal tool, and special weather resistant rigid travel case. The new Adventure Series Alpha is now available at a MSRP of $199.99 U.S. For more information, please visit www.westoneaudio.com.